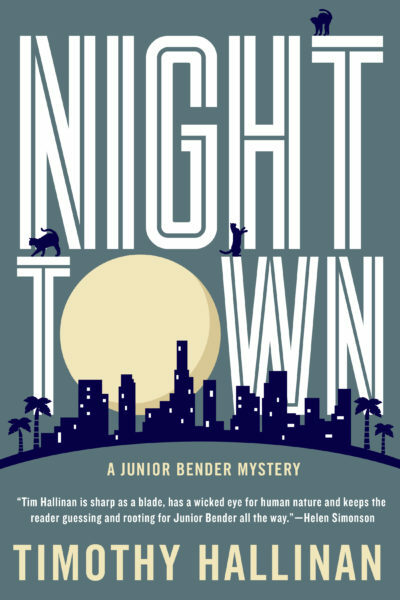 Nighttown is the sixth novel in the fun, thrilling, “highly readable” Junior Bender series by Timothy Hallinan. Hallinan writes with a brisk, controlled pace that encourages the reader to turn page after delightful page. 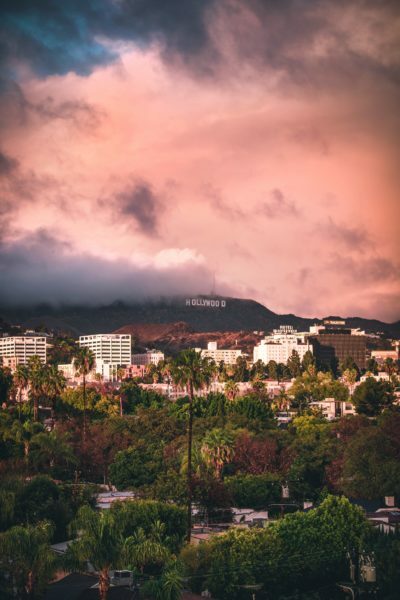 You will find plenty to chuckle about here, as Junior’s wit and cynicism run deep, and you’ll also be whisked away on a Hollywood caper that tackles the formidable topics of character, mortality, empathy and crime. 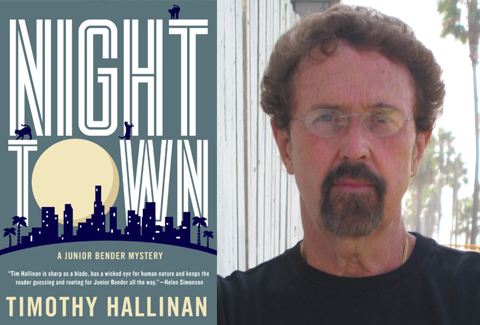 Nighttown publishes soon –November 6th – so we wanted to ask Hallinan a couple questions about his inspiration, influences, and the objectives of the book. Nighttown is about letting greed get in the way of common sense and it’s also about how a house can absorb the characters of the people who lived there. Junior is hired to take something out of an empty mansion, only a few days before it’s scheduled to be demolished. He knows something is off because what he’s being asked to find – a 19th-century French porcelain doll – is worth less than he’s being paid to go get it, which leads him to believe that the real prize is something inside the doll. But the very large sum of money he’s offered (and his need for it) create a formidable reality distortion field, and he goes in anyway. And he finds himself in a house that’s literally sealed against light and absolutely bristles with the sheer malevolence of the old woman who lived and died there. I wanted to write about darkness and how it’s been given a bum rap ever since the King James Bible, both religiously and in daily life (no one ever talks about “endarkenment,” do they? ), and the empty mansion, Horton House, was the darkest place I could think of. Also, last year I read J.B. Priestley’s 1928 book Benighted, which was filmed almost instantly as “The Old Dark House” and more or less created an entire genre, and I wanted to play with the notion of a house with a secret in every corner. I’ve always been partial to books in which the setting becomes a kind of character. Also, Junior is a burglar and, as he says in the book, darkness, in some ways, is his “personal Zip code,” and I wanted to see if I could put him someplace that was too dark even for him. Not much. I read up on the Western notion of darkness as the shroud, so to speak, of evil, and I researched the doll he was looking for, one of thousands that were made in the 19th century by a Paris firm called Maison Jumeau and are kind of creepy in their own right. But mostly I just let the house take me wherever it wanted. Also, my mind is like a very large, very untidy attic in which bits and pieces of practically everything I’ve ever read is stored in no order whatsoever. I like to think there’s a tiny man who’s always up there when I’m writing, rummaging through everything from King Tut to the history of the Spiritualists to the pigments used in oil painting, and every now and then he holds something up to the light. When he does, I pay attention. Sometimes it’s relevant, sometimes it suggests a different direction, but it’s rarely pure rubbish. Well, Priestley, obviously. He’s pretty much forgotten now, but he was almost certainly the world’s most popular writer in the late 1920s and 30s, and he deserved to be. Benighted, while it’s a real crackler, as my mother liked to say, isn’t among his very best but the books that are – The Good Companions, which was a global sensation, Lost Empires, and Angel Pavement, for example, are the best Dickensian books I’ve ever read by someone who wasn’t Dickens. And there are lots of writers who set standards I aim to match: Raymond Chandler, Larry McMurtry, Ursula LeGuin, Barbara Kingsolver, Paulette Jiles – lots of them. I never succeed in equaling them but they help me avoid some serious embarrassments. No. I don’t have enough ideas to toss out something that might surprise or interest a reader, as long as it has something to do with the story. I hope they’ll find that they enjoyed it more than they thought they would. I hope that they read about some of the things on which the story touches. There’s no such thing, I’ve always thought, as useless knowledge.